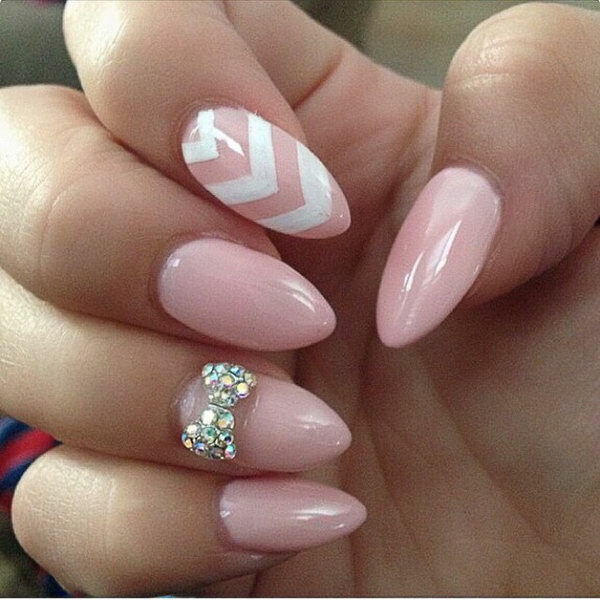 One of the fun things about being a girl is doing nails! 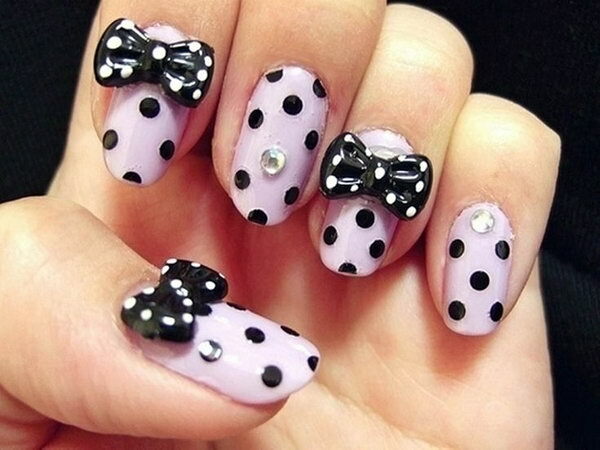 Nail art designs for girls are plenty from stripes to polka dots, from Hello Kitty nail designs to Cartoons and Barbie Nails and they all definitely look fabulous. 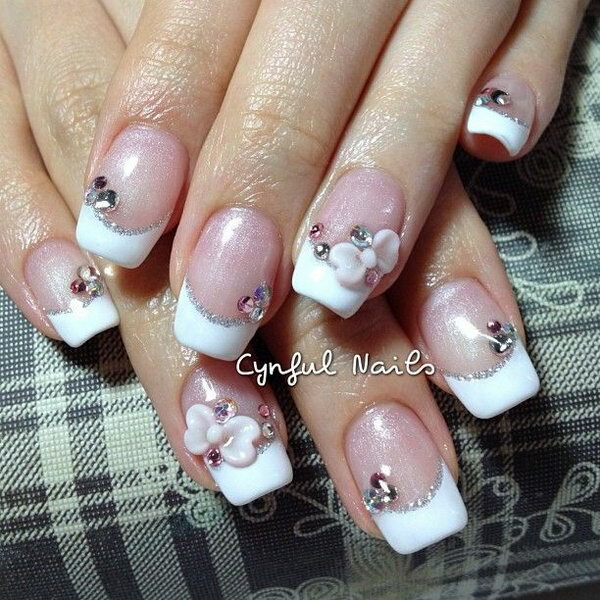 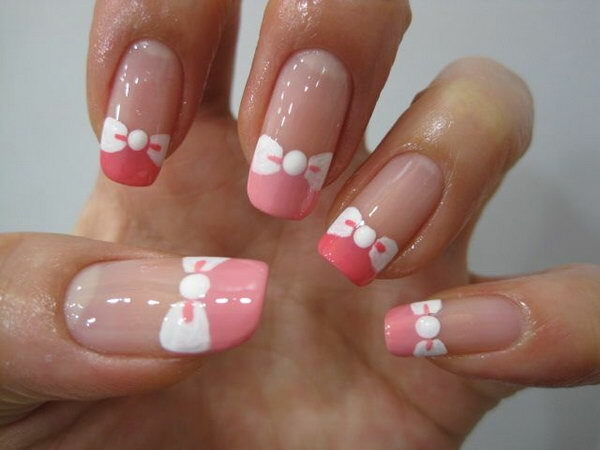 Bow nail is such a soft, feminine and just plain girly idea that has become popular in nail designs. 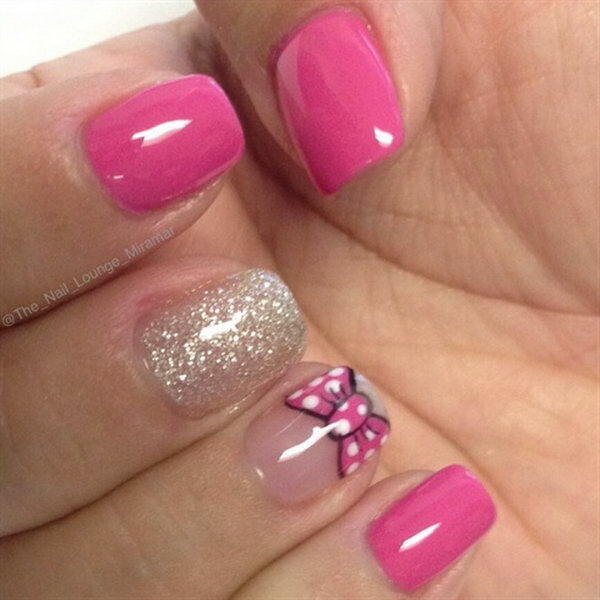 Bows are the symbols of girlishness, innocence and beauty. 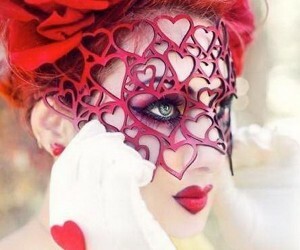 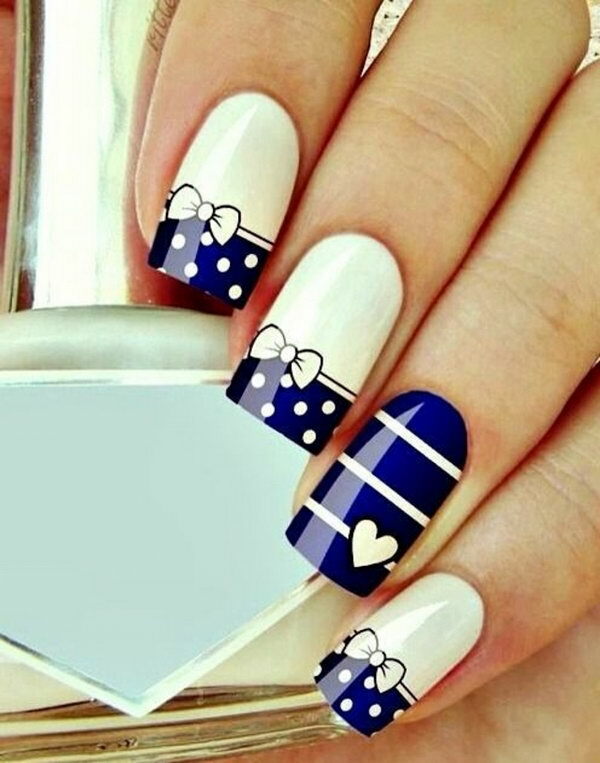 Every girl loves these small details, using them for hair styling, outfits, accessories and even for their nails. 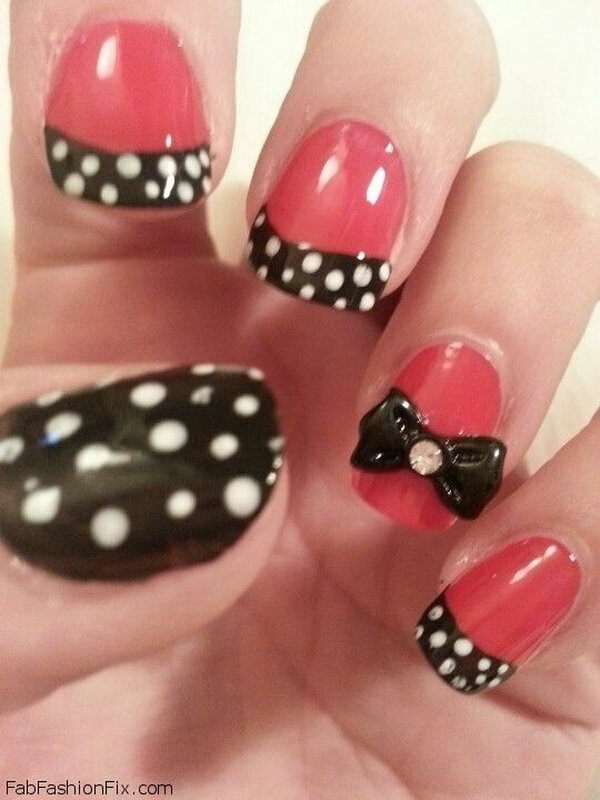 Bow designs are a creative way of adding a touch of femininity and cuteness to the look of the manicure. 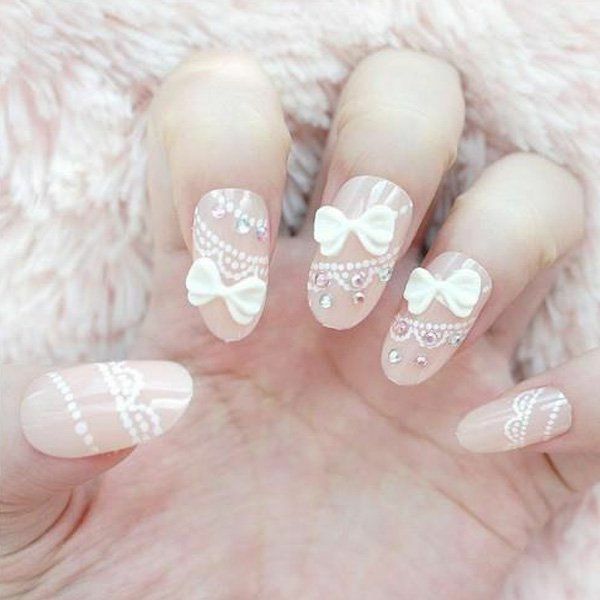 Many different methods and ways can be thought paint and create bow nails from 3D bow nails with the help of special nail stickers and nail accessories to simple bow nails by drawing your favorite shape of the bows. 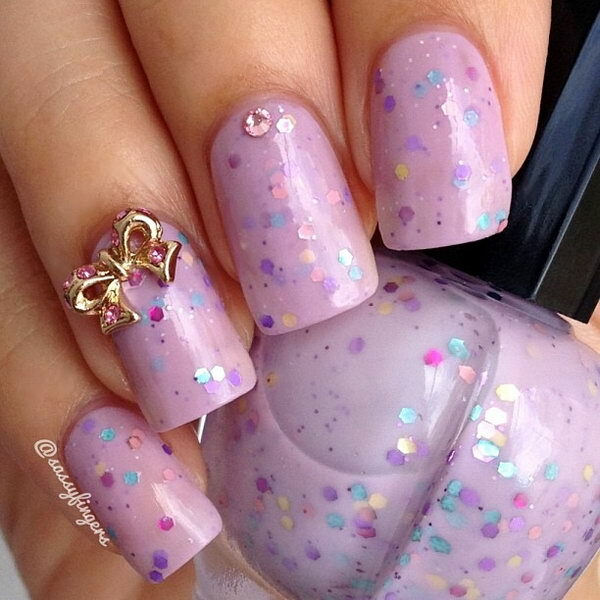 You also have a wide variety of choice as far as nail colors are concerned. 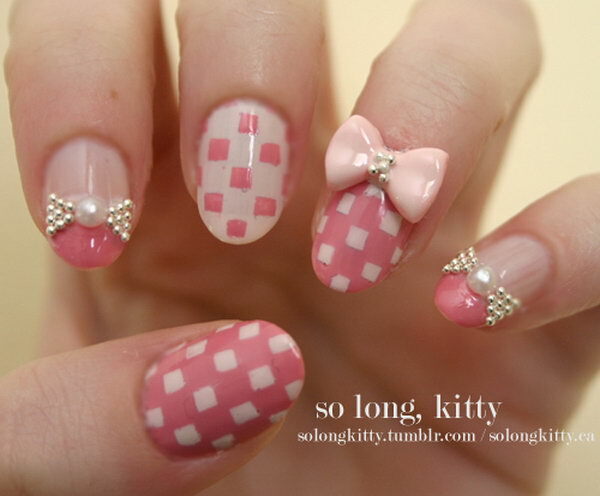 Bow nails can be simple or more complex. 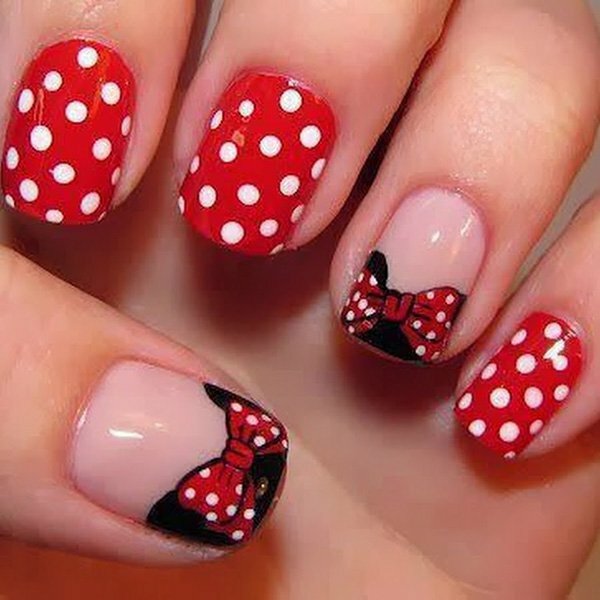 They can be created with either a single bow on your nails or many small bows on all your nails. 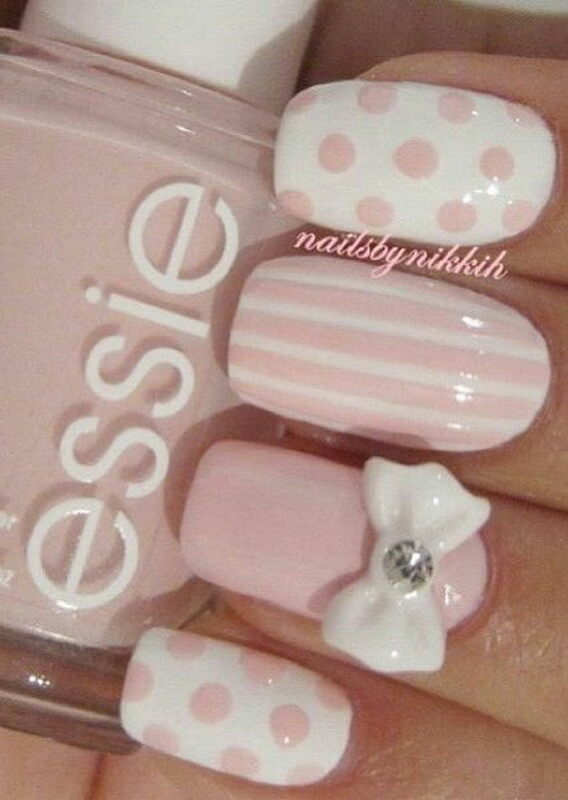 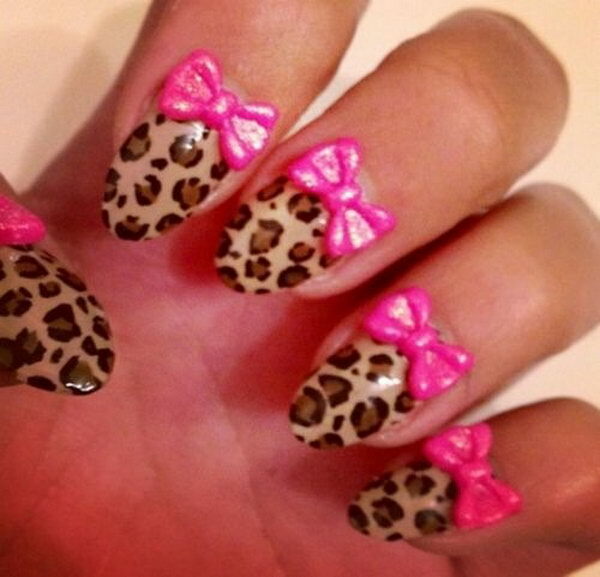 Bow nails are often painted in feminine colors, like pink, or classic colors, like black and white. 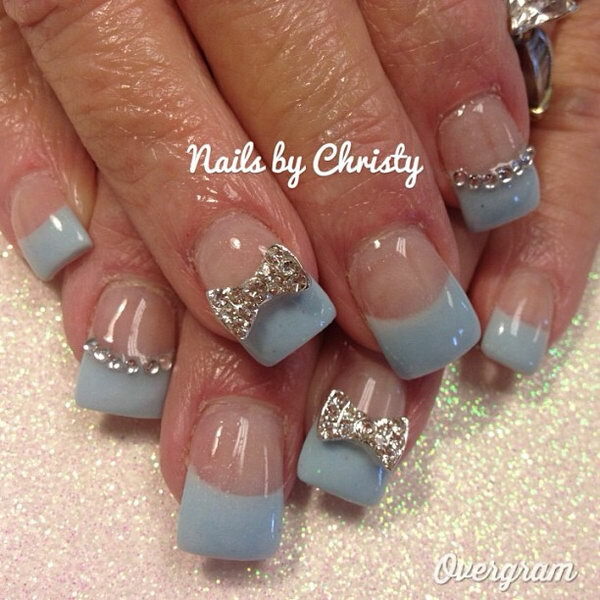 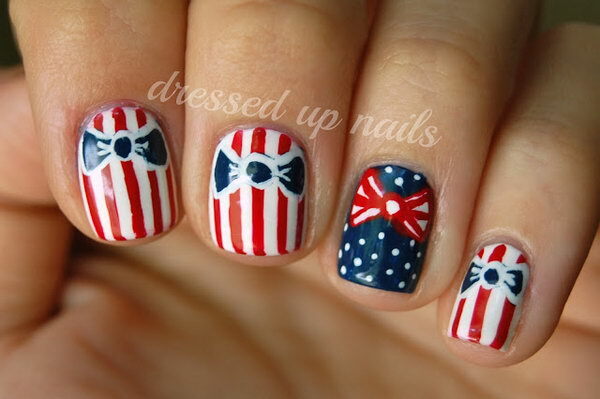 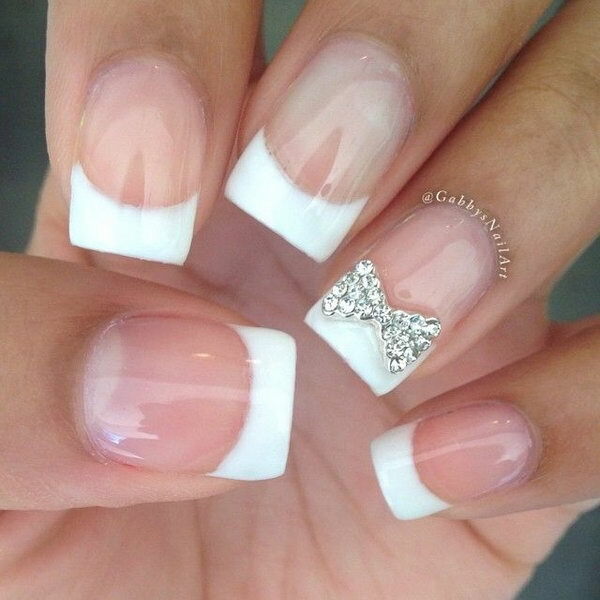 However, bow nails can be any color you like and still look stunning! 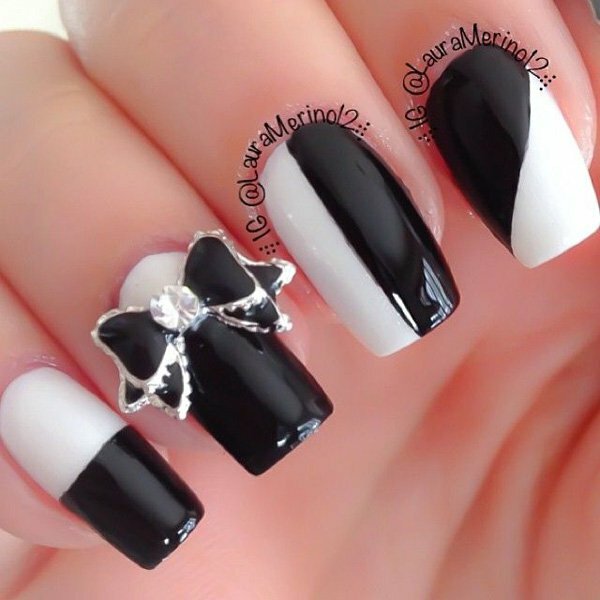 Today in this post, we have gathered lots of quite stylish and unique bow nail art designs for your inspiration. 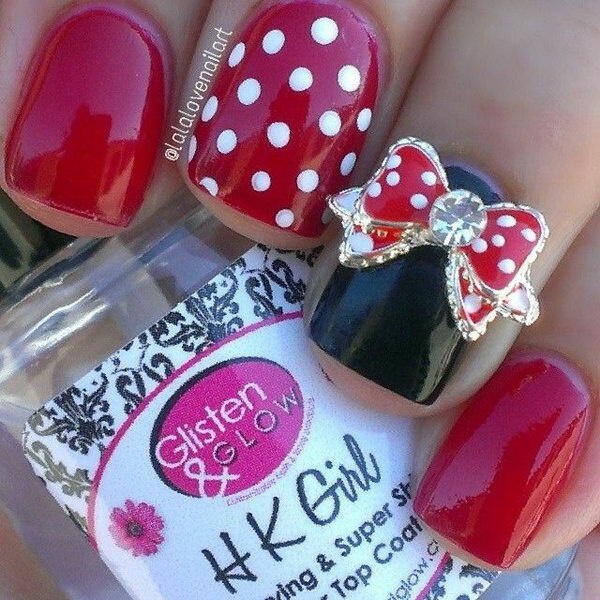 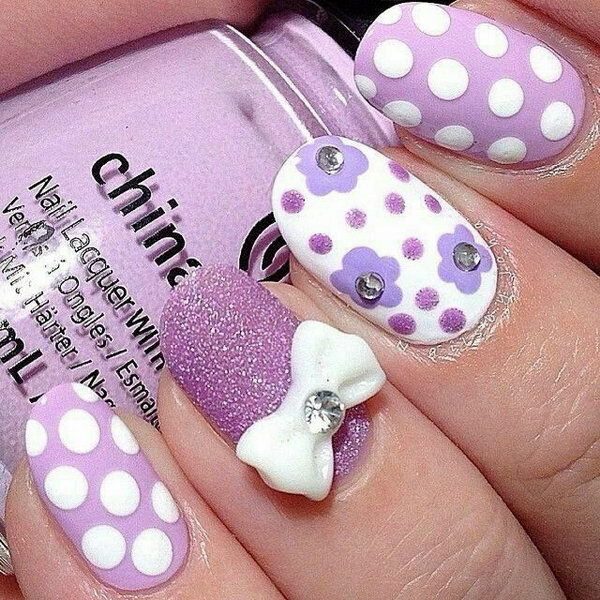 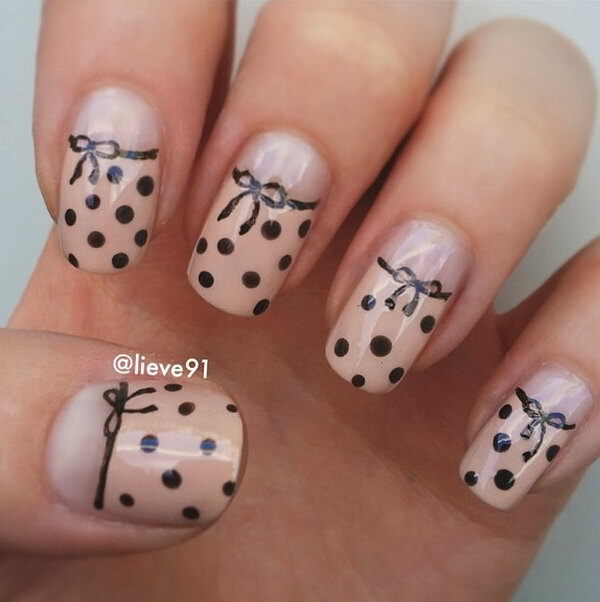 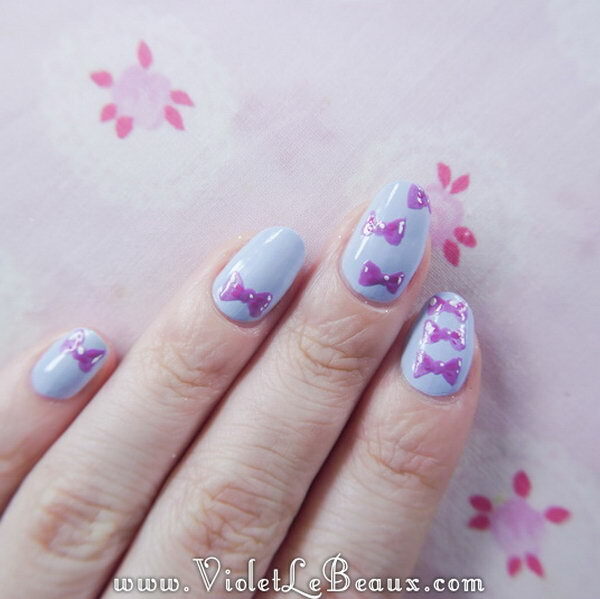 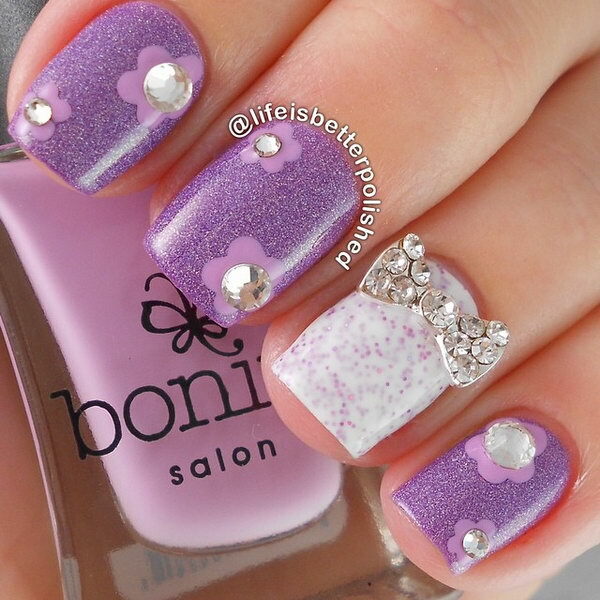 These cute bow nail art designs never cease to look cute and sweet, regardless of your age! 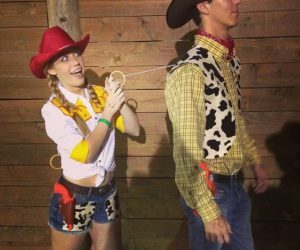 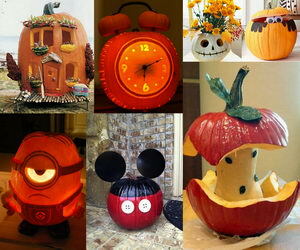 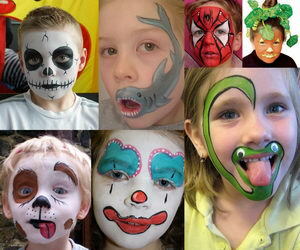 Please check them out and give your favorite one a try!